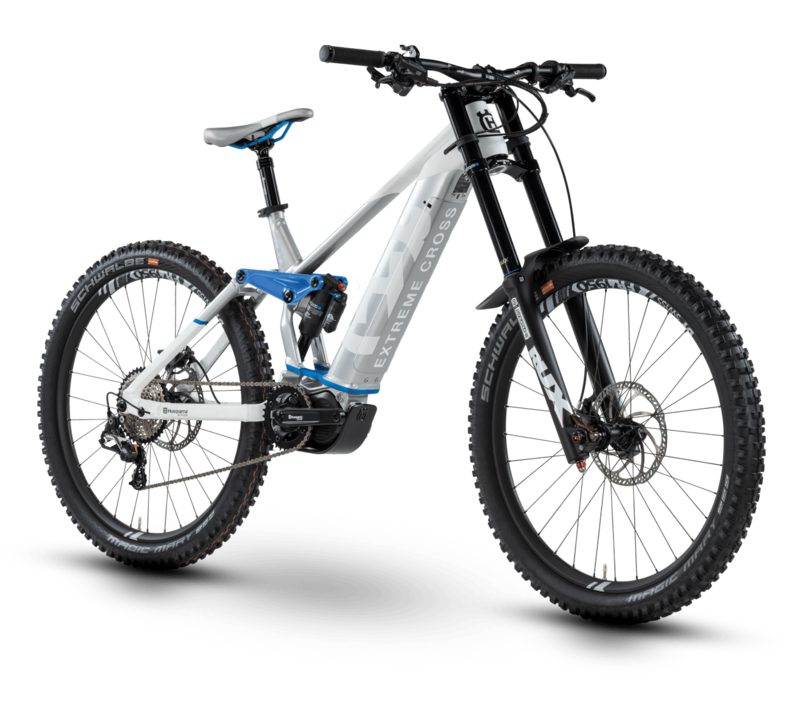 A new realm of products are emerging out there, electric mountain bikes (eMTB). These aren’t just ‘twist the throttle’ electric dirt bikes that take the sport out of cycling. They certainly aren’t just cobbled together bikes either. Oh no, these are full blown, automatic pedal assist, highly engineered, top end mountain bikes designed to give your legs that extra boost. Maybe you want to ride fast but squeezing in 5 training rides a week isn’t your jam. Or maybe you want to hit the trails for an epic day but you don’t feel like seeing how high your heart can go. That’s who eMTB’s are for. There are hundreds of options on the market at a huge range of price points, so we checked the specs on a couple hundred models and have compiled a list depending on what you want to ride and how much cash you’ve got to spend! Maybe you want to commute a little and hit the occasional rails to trails network or a multi-use gravel path. These bikes are decked out with integrated lighting, racks for storage and have minimal front suspension but they’ll handle the occasional trip off road and not burn you out. 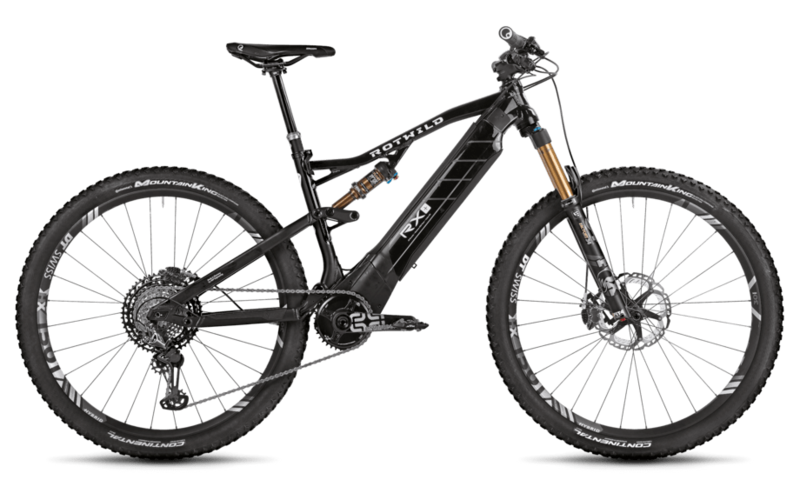 63mm fork, Shimano Deore components, hydraulic disc brakes and a wicked fast 28mph top speed out of the Brose Drive TF motor with a 650Wh battery. 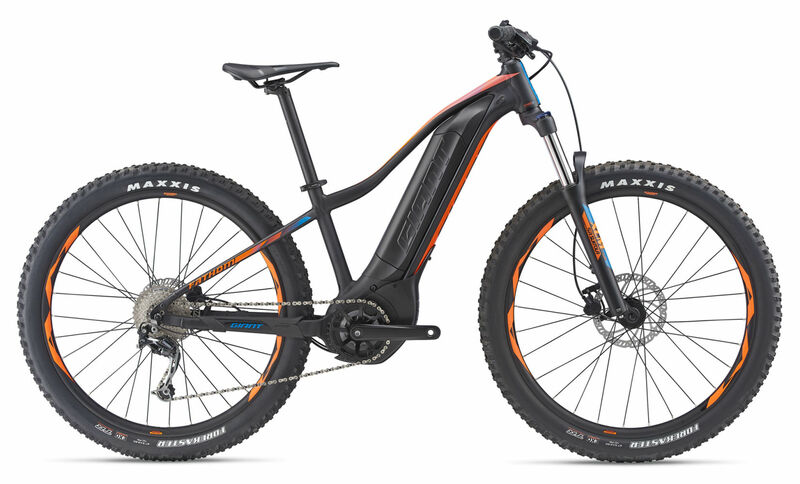 80mm air fork, flagship Shimano XT Di2 electronic shifting, hydraulic disc brakes with a 20mph Shimano Steps E8000 powered by a 630Wh integrated battery. Perfect for the X-Country rider. These are burly enough to handle any trail, but if most of your ride is mellow up/down single-track with an occasional drop, this is for you. 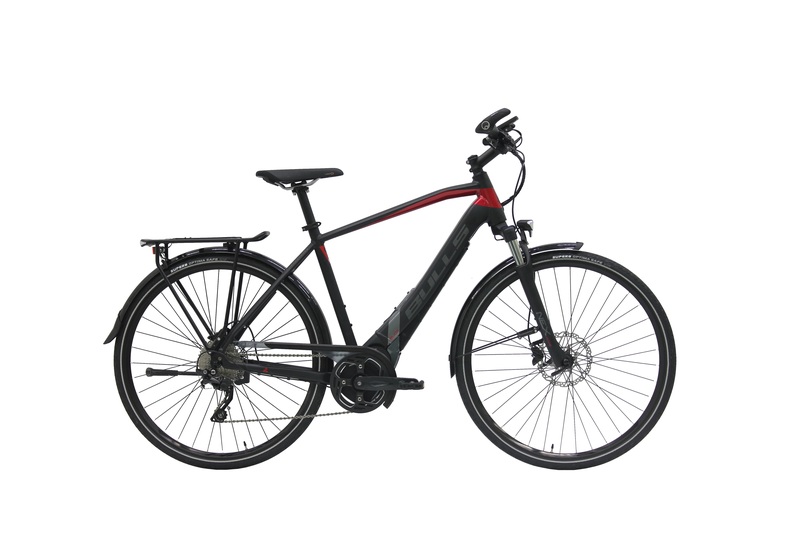 120mm fork, Shimano Deore 9-speed components, 27.5″x2.6″ tires with hydraulic disc brakes, Giant SyncDrive sport motor powered by Yamaha with a 500Wh integral battery. 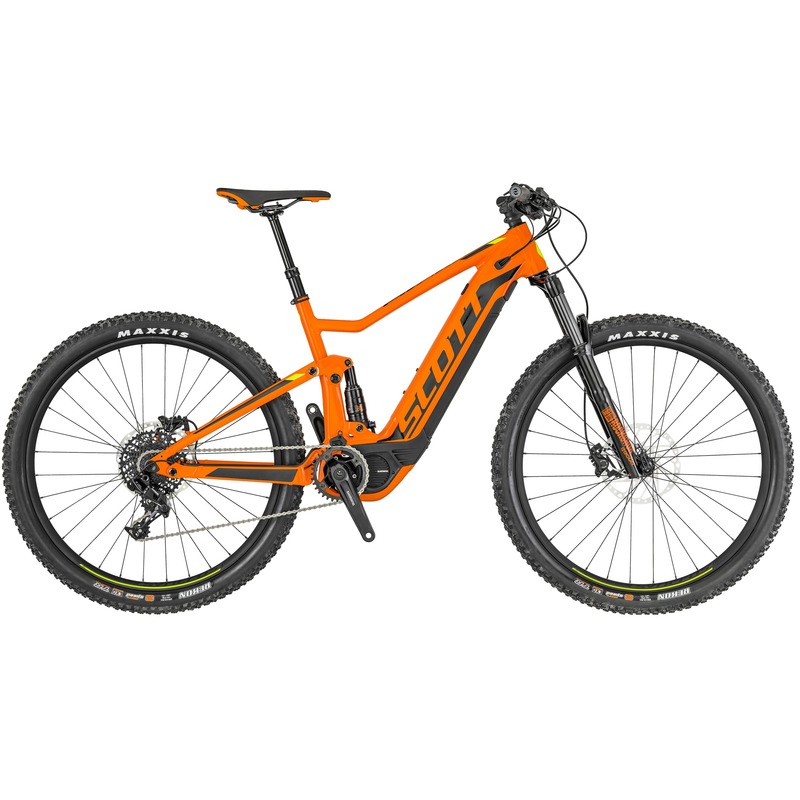 120mm air fork, dropper seat post, SRAM NX Eagle 12-speed components, 27.5″x2.8″ plus size wheels/tires with 180mm 2-piston hydraulic disc brakes, Shimano STEPS E8000 motor with a 504Wh integral battery. Sometimes the trail gets gnarly. A few drops and a couple airs. You’re going to want some rear suspension, beefy components and a motor to keep you fresh. 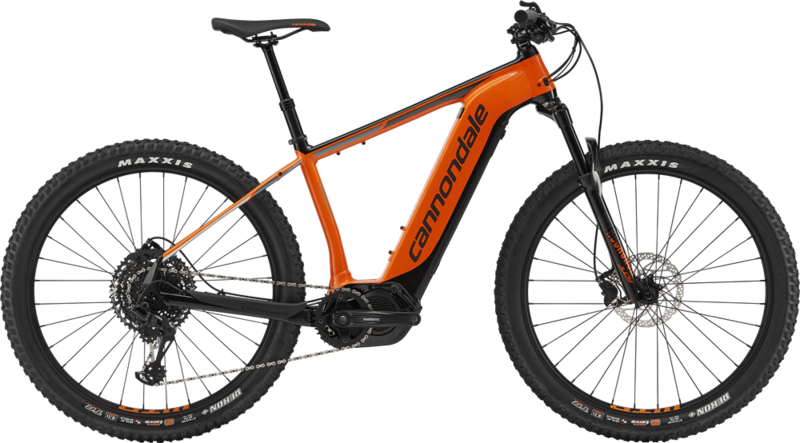 130mm front & 120mm rear air suspension, dropper seat post, SRAM NX1 11-speed groupset, 29″x2.6″ tubeless wheels/tires, 203mm 4-piston hydraulic disc brakes, Shimano STEPS E8000 motor with 500Wh of integrated battery capacity. 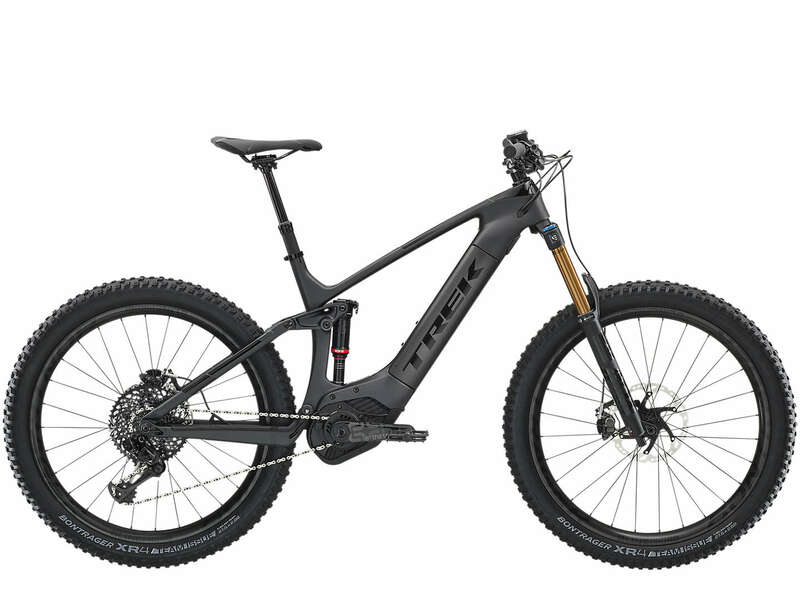 140mm front & rear air suspension, dropper seat post, pro-level Shimano XTR 12-speed components, 27.5″x3.0″ plus size or 29″x2.4″ eMTB specific wheels/tires, 4-piston hydraulic disc brakes, carbon fiber body armor to protect engine components like the 100% decoupled Brose Drive S motor and the 648Wh removable battery or the 518Wh integral battery. All-Mountain fun. The downhills are fast and sendy, but what goes down must first go up and that’s all on you (and a motor). 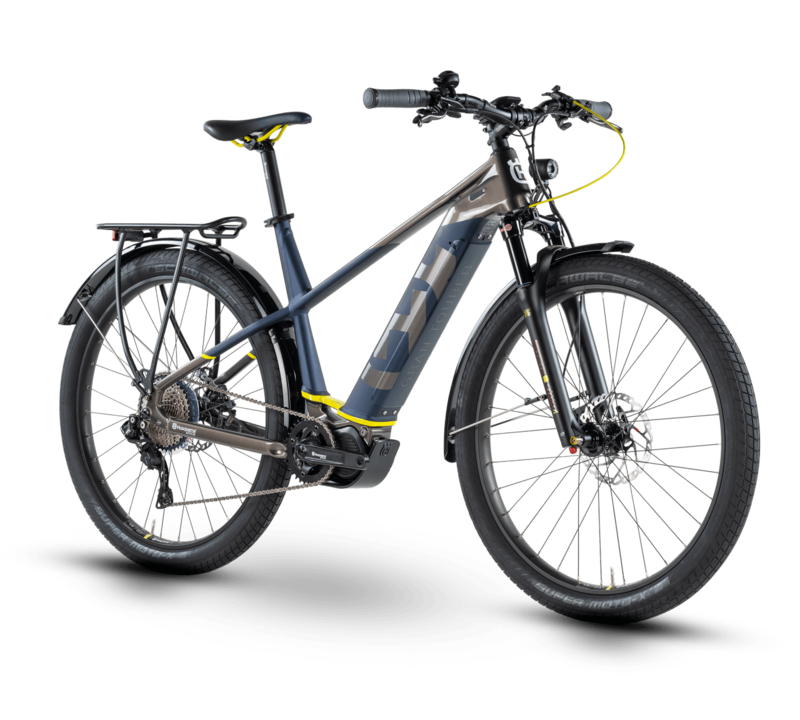 150mm front & rear air suspension, dropper seat post, SRAM NX Eagle 12-speed components, 29″x2.6″ wheels/tires, 4-piston hydraulic disc brakes, Shimano STEPS E8000 motor with a 500Wh integral battery. Full carbon frame with 160mm front & rear air suspension, dropper seat post, flagship SRAM XX1 Eagle 12-speed components, 27.5″x2.8″ plus size carbon wheels, 4-piston hydraulic disc brakes, Bosch Performance CX motor with a 500Wh integral battery. Black diamond sending. Punchy climbs but mostly down.  Lots of brakes, lots of suspension but with the power to help you back to the top on your own. Aluminum framed 200mm front & rear air suspension, dropper seat post, downhill specific Shimano Saint 10-speed components, 27.5″x2.6″ wheels/tires 203mm 4-piston hydraulic disc brakes, Shimano STEPS E8000 motor with a 630Wh integral battery. 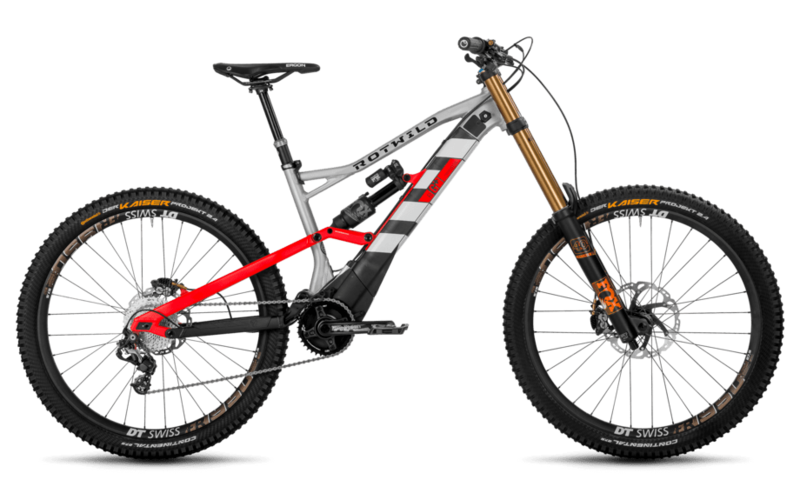 Aluminum and Carbon framed 200mm front & rear air suspension, dropper seat post, downhill specific Shimano Saint 10-speed components, 27.5″x2.4″ wheels/tires 203mm front & 180mm rear 4-piston hydraulic disc brakes, Brose Drive S motor with a 500Wh integral battery protected in carbon.